TemplateMonster Spring 2018 Discounts. Hurry Up and Save 35%! Are you thinking about the launch of a new web project? I bet you are looking for the most profitable and cost-effective solution to build your personal or business site. Luckily, today we are going to bring your attention to the special deal from TemplateMonster digital marketplace. For 3 days only (on April 9-11), they will slash the cost of all themes from the inventory by 35%. Is there a CMS or a specific product type that you wanted to grab but for any reason put away for later? The time to save big on the premium website templates of the top quality has come!TemplateMonster inventory of digital products features more than 26,600 of the innovative solutions that are compatible with the latest and most popular web platforms. Is that a blog, portfolio, business, corporate or eCommerce site that you want to launch? Whatever purpose you pursue and whatever type of products you choose for the launch of your site, you will find the digital products that meet your requirements in the digital marketplace. As part of the Spring 2018 promo campaign from TemplateMonster, you can download any premium digital product from their inventory at the 35% discount. The average cost of orders that are placed in the marketplace if $90. This means that you can save more than $30 on any premium theme from their collection on April 9-11. If you are looking for the best examples of themes representing different types of digital products, then you should have an interest in the following showcase. 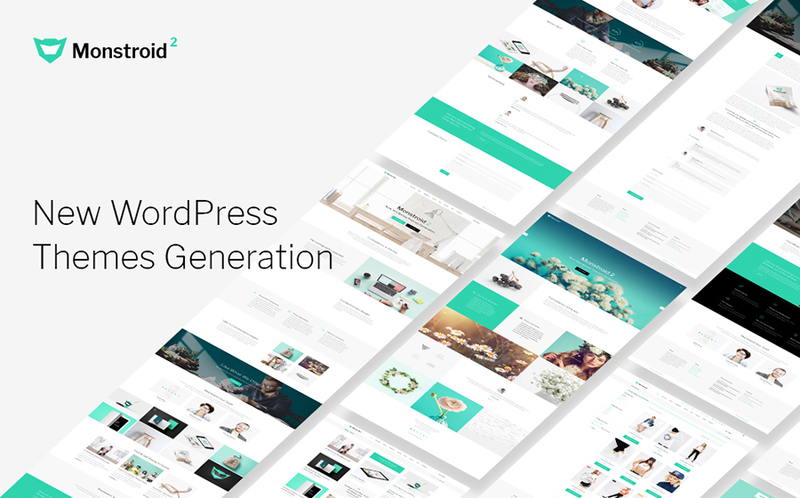 We have handpicked premium flagship themes & best-selling WordPress themes from different categories of items, all of which can be bought 35% off. premium-quality technical support that is accessible 24/7, etc. No matter if you want to launch a personal or business site, you can make it look one-of-a-kind. Using a premium theme you will be able to achieve the desired results much quicker and effectively. Don’t waste your time and grab premium digital items at the lower price. Save extra cash on the promotion of your online project. Make name for your personal or corporate project with this up-to-date WordPress template. You can use this feature-rich WordPress theme for multiple purposes. For ease of use, you can turn off unrequired features. It presents a number of blog layouts, ready-made pages, niche-specific skins, modules, widgets, and premium-quality extensions. If you have any inquiries regarding website layout usage you can look at the descriptive documentation. Also, you receive round-the-clock priority support aiding to resolve any trouble. 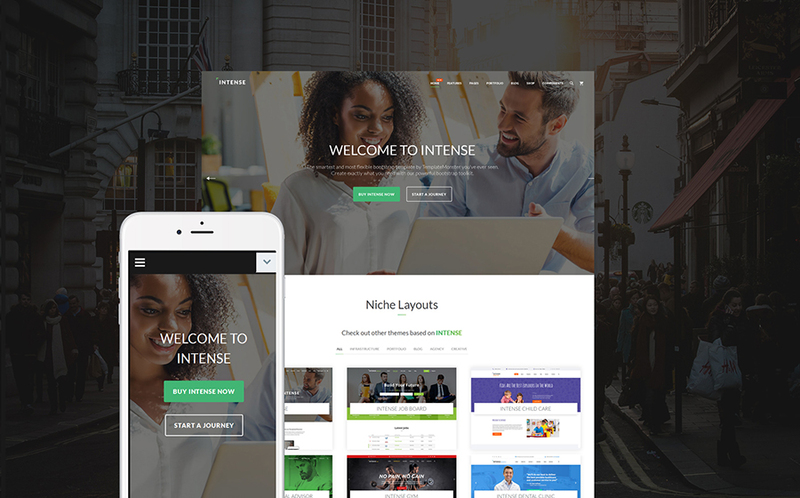 This particular WordPress template lets you make a highly effective introduction of your business on the Internet and motivate website visitors to explore more of your content. Besides, this is a multipurpose theme featuring Elementor page builder. 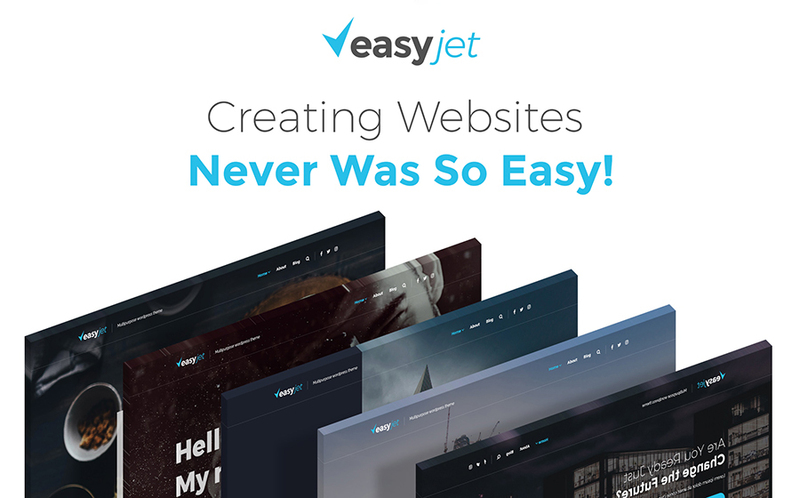 With its help, you can create versatile page layouts without touching a line of code. SEO-friendly, web users can effortlessly find it regardless of the search engine they are using. This specific web theme is also well-documented and provides specialist round-the-clock support. The usable and fully editable design of this WordPress theme is intended to be used for construction sites. It is integrated with Power page builder, which lets you tweak the theme’s layout without touching a line of code. You’ll be able to change fonts, colors, backgrounds and other elements of the theme with the help of the advanced theme customization tools. In addition, purchasing this specific web theme you get round-the-clock tech support and great documentation. Choosing this user-friendly theme, it will be easy not only to attract more site visitors but to build a solid online presence. 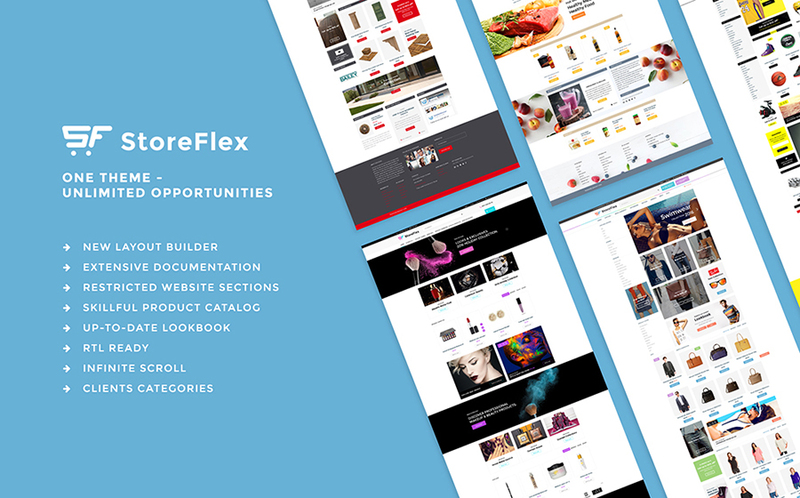 This is a multipurpose HTML5 theme featuring an extensive list of ready-made pages, child skins, and layout options. Likewise, supplied with thorough guidance, it is easy to handle by both experts and novice web designers. The theme has a pack of useful plugins, modules, and widgets, which have an intention to help you bring the desired look and feel to the ready-made design. 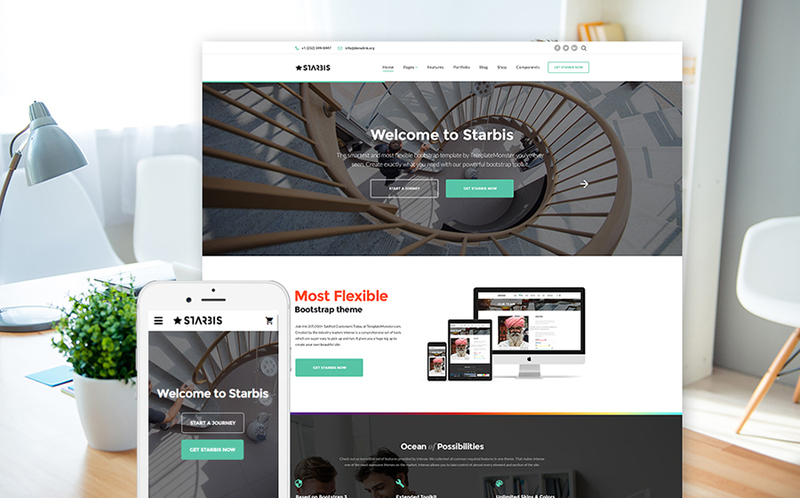 Starbis is a multipurpose HTML5 template intended to be used for a number of business sites. The theme is fully responsive and cross-browser compatible. It features a number of layout styles, hundreds of ready-made pages, and useful tools that speed up the theme’s customization. Blog, Portfolio, and eCommerce templates are included to let you enhance the site with the respective functionality worry-free. Brave Theme is a pre-made multipurpose website template that you can use to build a range of business web projects. Almost all of the template functions can be changed promptly the advanced Novi page builder. Using lots of customization options and plugins, you can totally redesign or adapt it to any other project flash-like. The theme is highly customizable. Hundreds of ready-made pages and UI elements are included to bring the desired look and feel to the theme’s layout with the minimum efforts. The responsive layout will adjust to any monitor dimensions. Jumerix is a great choice for the ones who desire to create an elegant and practical website. A 100 % responsive layout makes the template perform great on any device regardless of whether it’s a desktop computer or a tablet computer or a mobile phone. This is a perfect solution that offers fast and smooth website development. Furthermore, it meets the latest SEO practices, which will let your website get up in the search engine rankings. A helpful customer tech support crew is available 24/7 free of charge. Jedi multipurpose Joomla template is a smooth and modern solution for personal, business and corporate projects. It’s a combination of visual aesthetics and functionality. Because the theme is SEO friendly and suitable for modern-day web browsers and their most up-to-date versions, online users will easily find your internet page. As a result of well-balanced design, your website visitors will be able to find the important content easily and quickly. Presented blocks of content, widgetized areas make the structure of the theme intelligible. Eveprest will help you start or revamp the existing web store to meet your requirements. The template was tailored for interior design accessories, furniture, fashion, beauty, tools, electronics, and other kinds of web resources. It features a collection of niche-specific skins, which are ready to be tweaked by means of the advanced tools set. Theme’s layout is responsive, which means your visitors will be able to use site’s functionality from any gadget they hold at hand at the point. This template is easy to set up and alter using various customization options. A helpful customer assistance crew is accessible round-the-clock absolutely free. Get your website off to a flying start using this multipurpose PrestaShop template. All the theme’s components are entirely customizable, so it won’t be a trouble to adjust it based on your wishes. The admin panel allows editing just about every element of the template, from fonts and colors to post formats and backgrounds. Neat, valid coding and well-done documentation will help you in modifying this theme the way you need. Create a high-quality online presence by using this usable PrestaShop design. This particular website template was tailored for art galleries and portfolio sites. 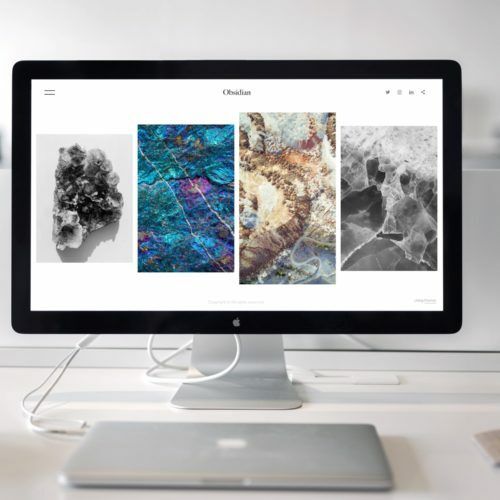 In addition to the eye-catching presentation of image galleries, the theme also supports eCommerce features. If you choose your business to be detectable on the Internet, then you should choose this website layout. This theme can be displayed perfectly on a variety of electronic devices and display resolutions. It has SEO optimization and users can easily find it whatever search engine they are using. Share your products or services with the community using this multipurpose template. This is an AMP-ready theme that is intended to make web stores more findable from the screens of mobile devices. You will appreciate how easy this template is to set up and modify because of the detailed documentation. This website layout is easy to setup and maintain, so even a noob will be able to construct an excellent internet blog or Internet site within a few minutes. If you don’t have enough time for developing a personalized design, choose this pre-made option that will enable you to establish a reliable online presence. This eCommerce theme has a number of useful options, which change your web resource into a splendid solution for a powerful web platform. 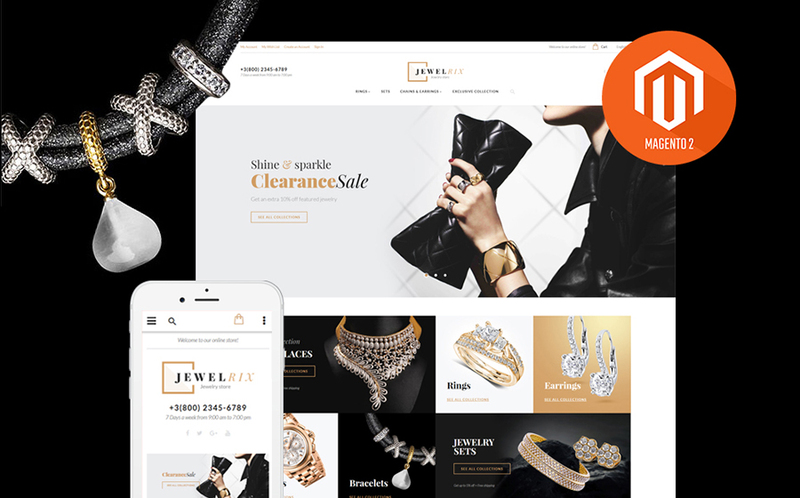 Hit the live demo button, and find out for yourself that this template is exactly what you need to start an outstanding jewelry and accessories store. The theme is absolutely responsive and it has a selection of configuration options. Above all, when it comes to layout, this web template comes with a neat yet content-rich design with an easy-to-browse structure. 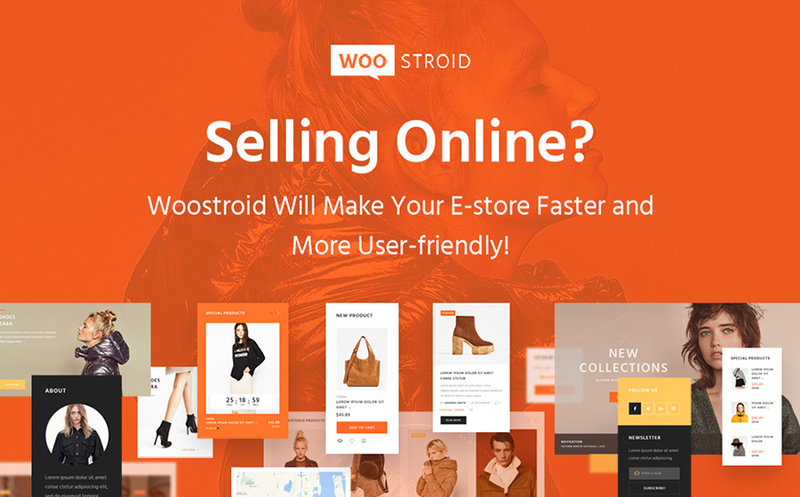 If you’re searching for a trendy and top-notch design for your web store, WooStroid is likely to become the most optimal solution for a range of purposes. This is multipurpose template featuring a growing collection of niche skins. Other than that, the page will effortlessly adapt to any screen dimensions. Still, thanks to a number of extra functionality you can alter this layout based on your needs and embed any information you wish. 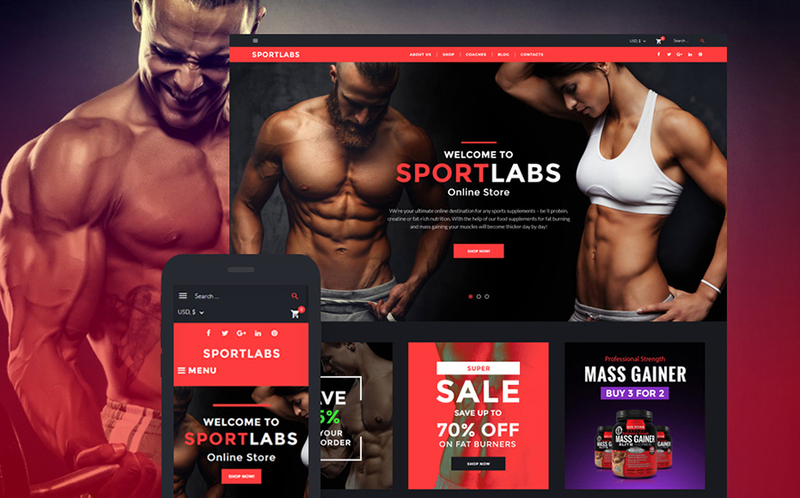 Design your sports nutrition and supplements store using this responsive WooCommerce template. SportLabs is a trusted website that would provide users with all they need starting with the products and services summary, and concluding with the possibility to get in touch with you and discover answers to the questions that matter the most. Moreover, using it you can highlight your goods or service info, publish your firm story, provide visitors with valuable info on latest technology through a blog, and so on. Totally responsive, this template is compatible with a wide range of up-to-date gadgets. The theme which has an awesome design and helpful characteristics will enable you to get to your prospects. If you need your site to be modern-looking, trustworthy and easy to use, try this responsive MotoCMS 3 template. It perfectly helps to present a range of business projects on the web. 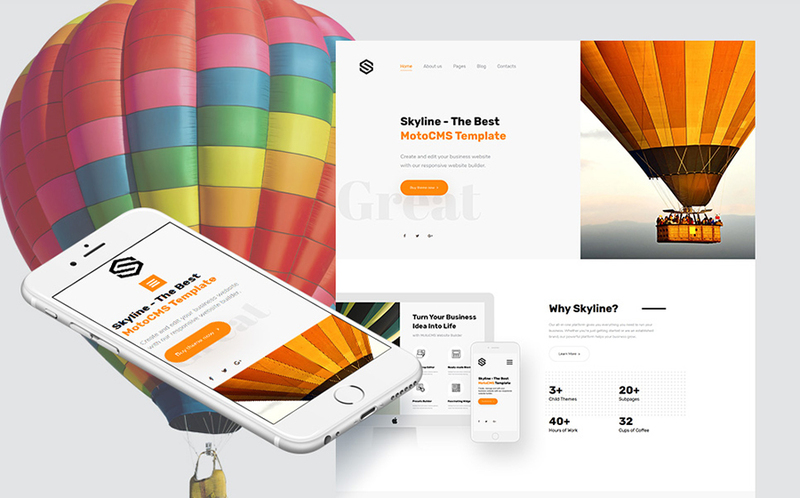 Skyline has usable and intuitive drag-and-drop page builder, which allows you to bring the necessary changes to the theme’s layout code-free. Another key point, this template is also totally responsive so that your website will be properly shown on any device. A descriptive documentation file, as well as free round-the-clock support, are provided. This multipurpose OpenCart design can certainly make any site perform to its maximum potential. 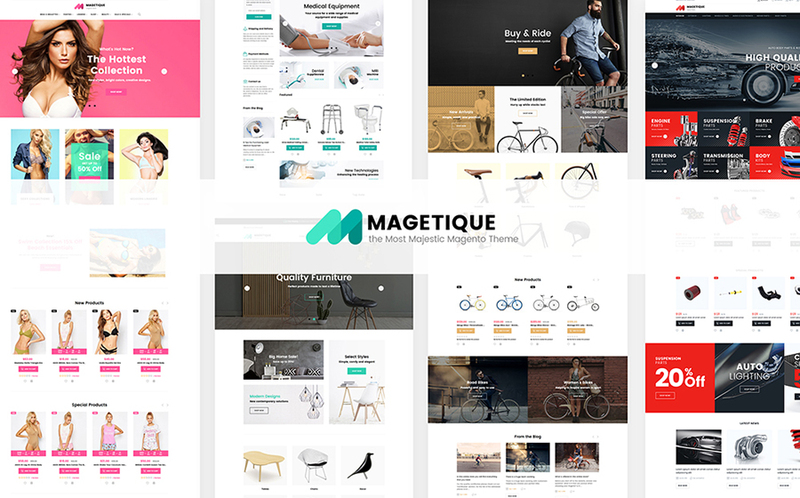 Featuring a collection of niche-specific skins, you can use this theme to build fashion, food, beauty, tools, and other kinds of eCommerce sites. Social sharing options, such as Facebook, Pinterest, and Twitter, will enhance your site’s readership by spotlighting your content almost everywhere in the particular social sharing platforms. The web visitors will truly appreciate straightforward browsing of your website. Regardless of the device chosen to surf your website, its interface will display beautifully thanks to the theme’s responsive design. Neat, valid coding and explicit guidelines will help you in altering this website design exactly how you want. In the first place, Multifly has integration with customizable sections. Well-designed content blocks make it possible for online users to find the desired products and services effortlessly. Also the theme is easy to install and manage, so even a rookie will be able to establish a first-rate web store in no time. If you have any questions in relation to theme use you can have a look at the rich documentation, also you receive 24/7 priority assistance helping to get rid of any problem. This design for the development of appealing PowerPoint presentations is absolutely fabulous. Template’s content structure is straightforward and easy to understand. Highlighted blocks of content make the layout of the theme clear. Besides, there is a range of fully editable slides that will help you present your ideas in the clear and easy-to-follow manner. 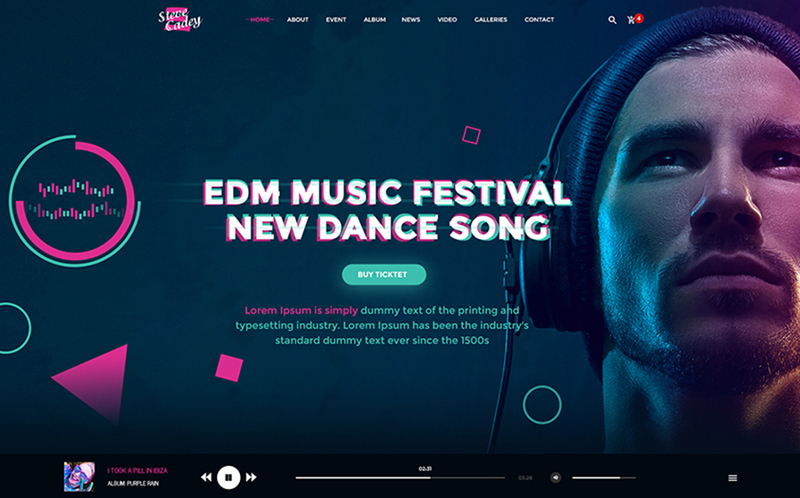 Develop your music blog or portfolio on using this fully layered PSD templates as the foundation of the design of your future online project. The well-organized PSD files are quick and easy to handle. You can use this theme for the most popular CMS and eCommerce platforms. The pixel-perfect design and contrasting color schemes will drive more public attention to your project.